The mostly direct words of Apollon, mostly directed toward myself, and sometimes more than myself. A Message From Apollon: Find the Others! 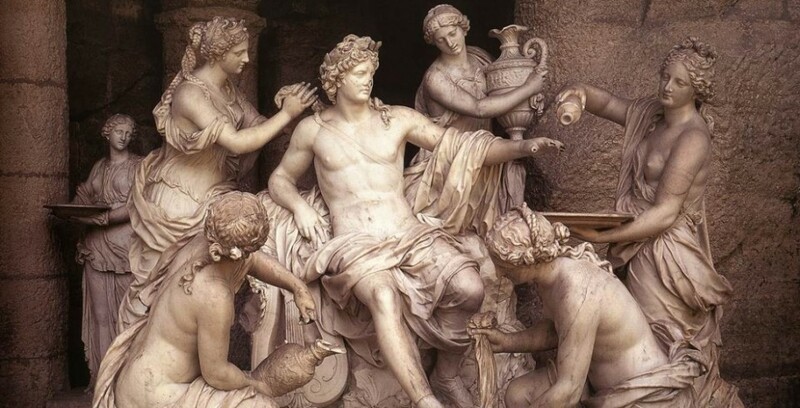 And so the Lord Apollon commanded: Find His people– His true people– those who embody and affirm His ethos in the work of their everyday lives. Those whose ferocity is untamed and uncontainable. Those whose words strike with the force of truth. Look not toward the meek, those overly humble ones, for they have not yet reached the core of their fire. You burn. You burn too hotly to remain in the company of the cold. So dwell in fire, and in rage. Let the venom fill your fangs, and bite! Bite, for you are the serpent of the darkness! Your voice is the sting of a pain yet to come! Like the slow death of fever, or consumption, swift in dragon fire– you herald the end. All is dark around you, but there is no fear, for you are the darkest dark, and the dark shapes itself to your will. You focus the light, as did our Lord Apollon, when the light of Helios caused the dragon’s flesh to rot from its bones. Helios is the Sun, but Apollon commands, for He is the Lord of Light, and the Prince of Shadow. So shall you command the light within, to illuminate, and to awaken the sleepers among you. All those who are enamored of Him must heed this command, for He is not known for His mercy. Find the others. Find your brethren and you sistren. He calls you to come together, for the world is ripe for His true return. Ready yourselves, and be ready to sharpen your blades of truth. The time is near. Soon, the Oracle shall speak. I see through the eyes of strangers. Apollon shows me what lies behind their sneers, and their laughter. I have seen into the souls of those who scorn and attempt to shame. Their ridicule is a facade, merely a game of make-believe played inside their insecurities, like children. I have seen the shadow of fear wash over the corrupted ones, and lo, does it entangle them in grasping tentacles. The darkness within them is a potent master– more potent than the trickle of soft light that they deny themselves. And the bleakness for which they live is only the precursor to what shall befall them when the final shadow descends. And yet they are afforded a way of release, of freedom from the cling of blind hatred, in its starvation. If they would feed not this beast, this contagion, they might know the true peace of an unburdened mind. And yet, I also know that they will not, for no warning can compel those who see no harm in themselves, and whose justification is misplaced superiority. Superiority does not come from the dismantling of others, even within secret sanctuaries where one may dwell with those of like mind, for the plague is among them all, dining upon blackened hearts and distressed souls. In their scorn, they are not glorified, but are set into the realm of the untouchable, for they are far removed from the works of the Divine. So shall they be their own undoing, for there is no mercy granted to those who refuse to learn. In every moment there exists a lesson, a time to reach inside oneself and to extract the base human ills. If these shall not even purge themselves, if they shall look upon the Gods’ gifts and laugh, they are lost. Know that these words were given from the throne of the Prince, through me, who speaks His name with all due praise. I have seen through the eyes of strangers, and strangers to His grace they shall remain, until the souls are set free from their human chains.